A while ago I blogged about natural products I had found at TK Maxx (click here). 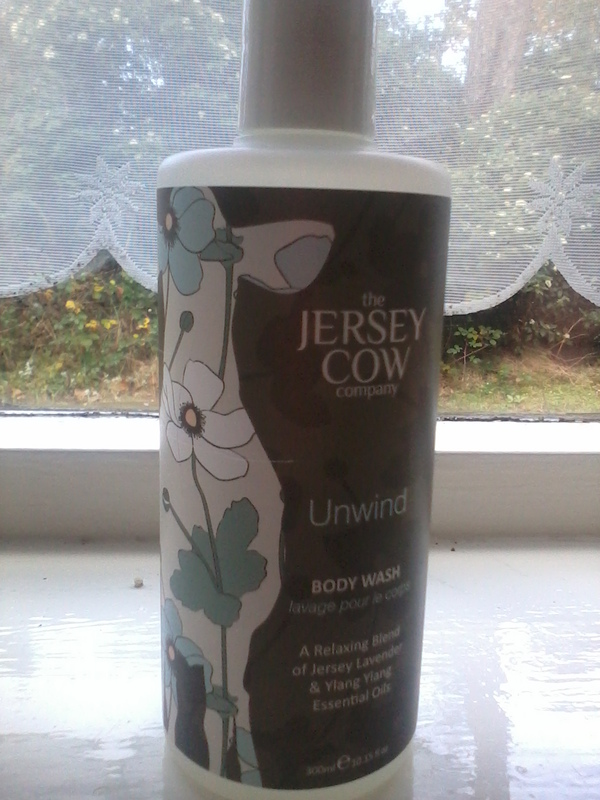 I mentioned purchasing a body wash from The Jersey Cow Company. This brand caught my attention because it does not contain parabens, SLS, silicones, petroleum, artificial colours, synthetic fragrances & suitable for vegetarians. I had picked up the fragrance 'Unwind' which is described as “contains 100% natural essential oils of Jersey Lavender to soothe and relax and exotic Ylang Ylang to balance the mind and ease tension”. It truly is a beautiful fragrance which makes you want to breathe in deeply when using it. I really like this shower gel. It produces a fantastic lather considering it is SLS free. I have not experienced any irritation nor has my skin felt dry after showering. The only negative for me is the price RRP is £15 (300ml bottle). I’ve said it before and I will say it again. No matter how brilliant a shower gel is £15 is a ridiculous amount of money to spend for something that washes down the drain. Since I bought it at TK Maxx I only forked out £4.99 a price which I am more comfortable with. I’ve checked out The Jersey Cow Company website and unfortunately the Beauty section is empty and there is a message “Please bear with us while we are making some changes.“ I am unsure where else you may find this range. My advice is if you spy this brand in your local TK Maxx grab it while you can, especially at their prices. Update 15/12/11 - I have discovered Jersey Cow is no longer available in the UK.